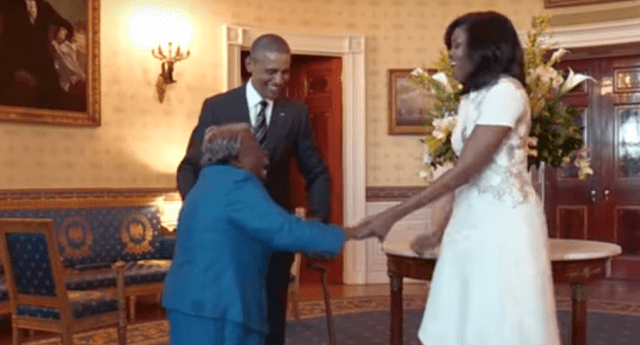 VIDEO – 106-year-old woman meets Obama…and dances for joy! Virginia McLaurin, a 106-year-old black woman, did what would have seemed impossible when she was born; she visited the White House and met the first ever black president. It was an incredible moment, McLaurin and the Obamas talked, laughed and they even danced. Unbelievable for anyone of that age. If this video doesn’t make you smile the nothing ever will.